Ericsson (NASDAQ:ERIC, news, filings) today announced an agreement with MTN, a leading telecommunications company with presence in 22 countries in Africa and the Middle East, to trial the exciting new Ericsson Radio Dot System in public venues and enterprise buildings across South Africa, and later across MTN operations. An in-building environment presents a special set of challenges for mobile operators, concerning complexity, scalability and service continuity. Current indoor solutions are built mainly for voice coverage and do not meet the growing capacity demands of apps. 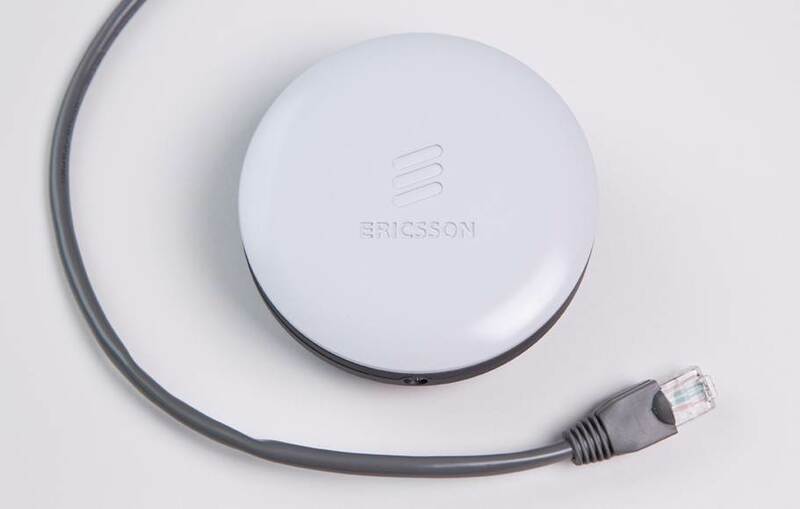 The Ericsson Radio Dot System was introduced to the African market at AfricaCom in November, 2013. It is a cellular radio that is small enough to fit a person's hand, but provides quality indoor coverage that previously required complex in building installment. The disk-shaped, break-through solution, addresses a broad range of scenarios for providing high-quality access to mobile broadband indoors. MTN South Africa, pioneers of LTE deployment in the region, have further demonstrated their commitment to delivering consistently high quality end user experience and innovation by being the first operator in Africa to trial the Ericsson Radio Dot System. This deployment will address indoor coverage and capacity needs of their individual and enterprise mobile broadband subscribers. Fredrik Jejdling, Head: Ericsson sub-Saharan Africa says: "Our research predicts mobile data traffic will grow 17 times over the next 5 years driven by app culture and video. As such leading operators like MTN are focused on improving indoor network performance and coverage. The Radio Dot System is a game changer, designed to empower mobile and converged operators to seamlessly deliver integrated cloud and mobile broadband services to their customers." The Ericsson Radio Dot System introduces a revolutionary antenna element, or "dot," which delivers mobile broadband access to users. Because of its convenient size, scalability, and compelling evolution path, the Radio Dot System caters to both business and consumer users in a broad range of enterprise buildings and public venues. The Ericsson Radio Dot System is fully integrated with the operators' network. Jyoti Desai, Group Chief Technology and Information Officer for MTN says: Ericsson has enabled MTN to meet the needs of our customers by providing a high quality and consistent experience everywhere, while also extending MTN's brand promise to the enterprise segment which is one of our fastest growing segments. Ericsson's Radio Dot System allows MTN to provide the business services and solutions that are expected of the leading operator in Africa and the Middle East. While Radio Dot System is primarily designed to meet the rapidly growing indoor data demands, where ever it is deployed it will improve coverage and capacity for existing voice services. It will also improve the support of upcoming voice communication services, such as High-Definition, or HD voice and Voice over LTE (VoLTE).